Compaq - 587706-751, 593572-001, BQ350A Battery for HP Compaq Compaq 320 Compaq 321 Compaq 325 Compaq 326 Compaq 420 Compaq 421 Compaq 620 Compaq 621 HP HP 420 HP 425 HP 4320t HP 620 HP 625 - 6 Cell 4400mAh Black. MWAVE - Battery for HP Compaq ProBook 4210s ProBook 4310s ProBook 4311s - 4 cell 2200mAh Black. MWAVE - Battery for HP Compaq ProBook 4510s ProBook 4510s CT ProBook 4515s ProBook 4515s CT ProBook 4710s ProBook 4710s CT -- 6 cell 4400mAh Black. MWAVE - Battery for HP COMPAQ Presario CQ35-100 Presario CQ35-101TU Presario CQ35-101TX Presario CQ35-102TU Presario CQ35-102TX Presario CQ35-103TU Presario CQ35-103TX - 9 cell 4400mAh Black. MWAVE - Battery for HP Compaq ProBook 4510s ProBook 4510s CT ProBook 4515s ProBook 4515s CT ProBook 4710s ProBook 4710s CT - 8 cell 4400mAh Black. MWAVE - Battery for HP Compaq ProBook 4210s ProBook 4310s ProBook 4311s - 6 cell 4400mAh Black. MWAVE - Battery for HP Compaq ProBook 4510s ProBook 4510s CT ProBook 4515s ProBook 4515s CT ProBook 4710s ProBook 4710s CT - 9 cell 6600mAh Black. MWAVE - Battery for HP Compaq COMPAQ 435 Notebook PC 436 Notebook PC Presario CQ32 Presario CQ42 Presario CQ42-100 Presario CQ42-106TU - 12 cell 8800mAh Black. MWAVE - Battery for HP Compaq ProBook 4510s ProBook 4510s CT ProBook 4515s ProBook 4515s CT ProBook 4710s ProBook 4710s CT - 12 cell 6600mAh Black. MWAVE - Battery for HP Compaq COMPAQ 435 Notebook PC 436 Notebook PC Presario CQ32 Presario CQ42 Presario CQ42-100 Presario CQ42-106TU - 8 cell 4400mAh Black. MWAVE - Battery for HP Compaq Pavilion dm3-1019TX Pavilion dm3-1020CA Pavilion dm3-1020EA Pavilion dm3-1020EG Pavilion dm3-1021TX Pavilion dm3-1022TX Pavilion dm3-1023TX - 6 cell 5200mAh Black. Compaq - 279665-001 COMPAQ NOTEBOOK BATTERY PN: 280206-001. PRESARIO 900/1500/1508/1510/1700/2800.SAME AS 279665-001 OR 281234-001. 280207-001. 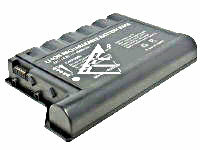 Compaq - Compaq Notebook Multibay Lithium ion Battery PN: 387937-B25 or 388870-001 316369-001. For Compaq Armada M700 M300 E500 E700 E500S V300 EVO N600C 610C N400C. 100680-001. THIS IS NOT MAIN BATTERY-! Compaq - 231964-001 COMPAQ ARMADA 110 NOTEBOOK BATTERY PN: 231964-001 231965-001. Compaq - 36-44194-01 DEC LI-ION LAPTOP BATTERY PN: 36-44194-01. FOR HINOTE ULTRA CS475 LAPTOP. MODEL FR-PCP8H-AB.